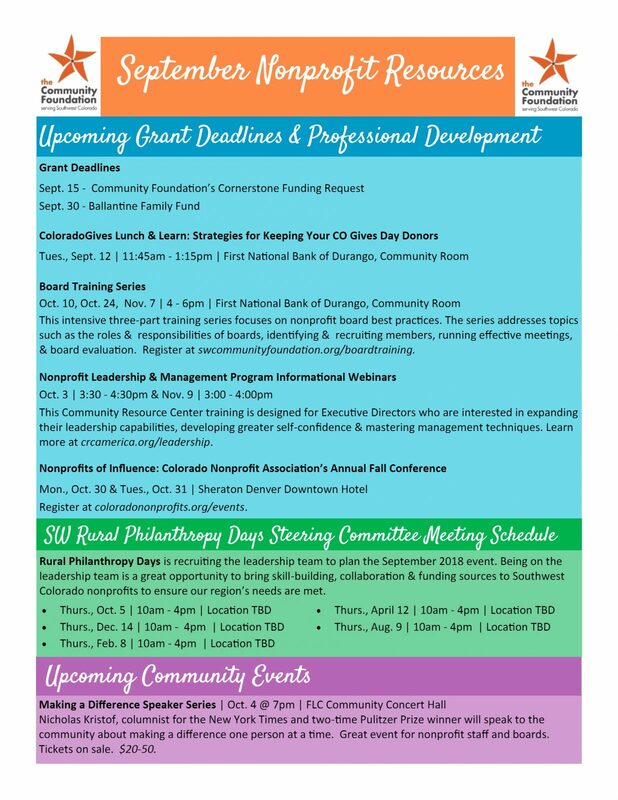 Upcoming grant deadlines, professional development and other opportunities for nonprofits in Southwest Colorado. Registration has opened for an intensive three-part training series on nonprofit board best practices. 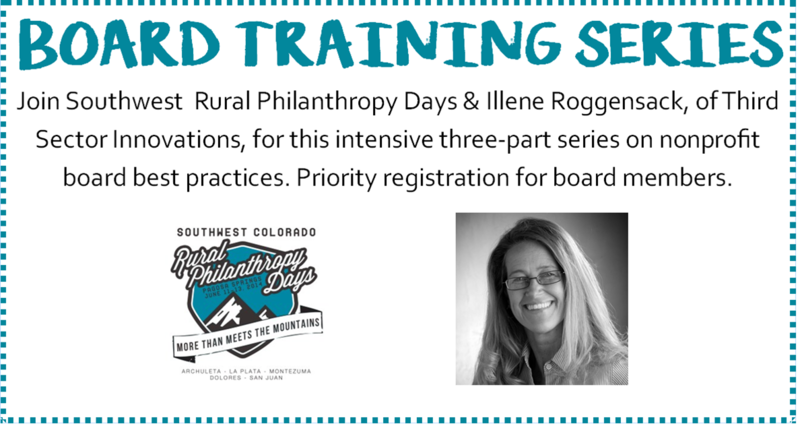 This series is designed for board members of nonprofit organizations in Southwest Colorado. 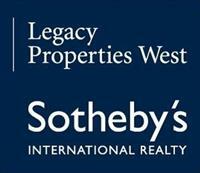 The trainings are scheduled for October 10, October 24 and November 7 from 4-6pm. Registration for the full series is $60. Information about each training is detailed below. Register here. The three trainings will be facilitated by Illene Roggensack, President of Third Sector Innovations in Grand Junction. Roggensack has been involved in organization development as a business owner, nonprofit executive director, board member, volunteer and consultant for 25 years. She provided a board training series in Durango during the autumn of 2016 and presented as the keynote at Essentials for Thriving Nonprofits, a workshop for regional nonprofit professionals, in April 2016. The Board Training series has been planned by the Southwest Rural Philanthropy Days (SW RPD) Interim Committee, a joint effort of local nonprofit leadership focused on continuing professional development to build a stronger nonprofit community. 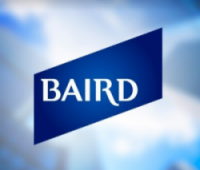 • Why serve on a nonprofit board? Ever wonder how your organization can stand out, acquire new donors and keep them? In this ColoradoGives webinar, author and retention expert Roger Craver will help you turn your leaking bucket of donors into a watertight container of engaged lifetime donors. Join the Community Foundation in the First National Bank Community Room to view and discuss. 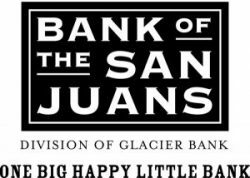 Lunch & Learns are scheduled for the second Tuesday of each month in the First National Bank of Durango Community Room. Lunch & Learns focus on education and resources regarding ColoradoGives, as well as provide local nonprofits the opportunity to connect. Click here for more information on ColoradoGives, the Community Foundation’s role as a regional champion, and how to begin the process of participating. Come out and enjoy the Community Foundation’s eighth annual Community Taste dinner. Guests will dine on signature dishes prepared and contributed by local chefs and area food purveyors. 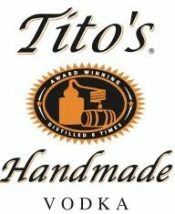 Complimentary beer and wine will be provided by local liquor stores and microbreweries. Dancing with Tim Sullivan and the Narrow Gauge Band will follow dinner. Tickets are $75 per person.